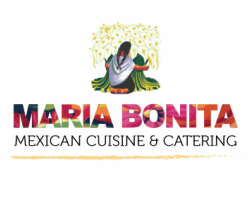 Your Fiesta Starts with Maria Bonita! Enjoy the flavors of traditional Mexican cuisine at your next event! ​We cater a selection of options full tray dishes, bite size appetizers, ready to go boxed lunches and our delicious taco/nacho bar. *​Customized menus are available upon request. To place an order please fill out our Catering Request form, GRACIAS!